We’re super excited that Duncan and and Ania from the very popular vegan blog ‘Lazy Cat Kitchen’ are set to host a talk and live Q & A session at Stroud Vegan Fair on Saturday 26 January 2019. The Bristol based couple will talk about how they went ‘From omnivores to teaching the world how to cook vegan’. Their story is an intriguing one of two people looking to live more compassionately – they went from moving to a Greek island to lead a more fulfilling life to settling back in the UK in the heart of beautiful Bristol. Lazy Cat Kitchen is a plant-based food blog run by a couple who ditched their 9-5 jobs and moved to a stunning Greek island in search of a more fulfilling life. This life change brought about a few others too - first they transitioned to a vegan lifestyle and then they embarked on setting up Lazy Cat Kitchen with the aim of helping vegan newbies. They wanted to show others how to cook amazing vegan food inspired by the world. As they run Lazy Cat Kitchen full time they get to teach vegans – new and old – all about fantastic vegan cookery and techniques! The blog’s social media following has gone from strength to strength with over 83,300 followers on Instagram and 131,985 likes on Facebook. And we can’t wait to hear about their experience of building this wonderful vegan community. Ania is the cooking powerhouse and food stylist behind the blog, and Duncan takes on the roll of tech support, head of baking as well as professional hand model! 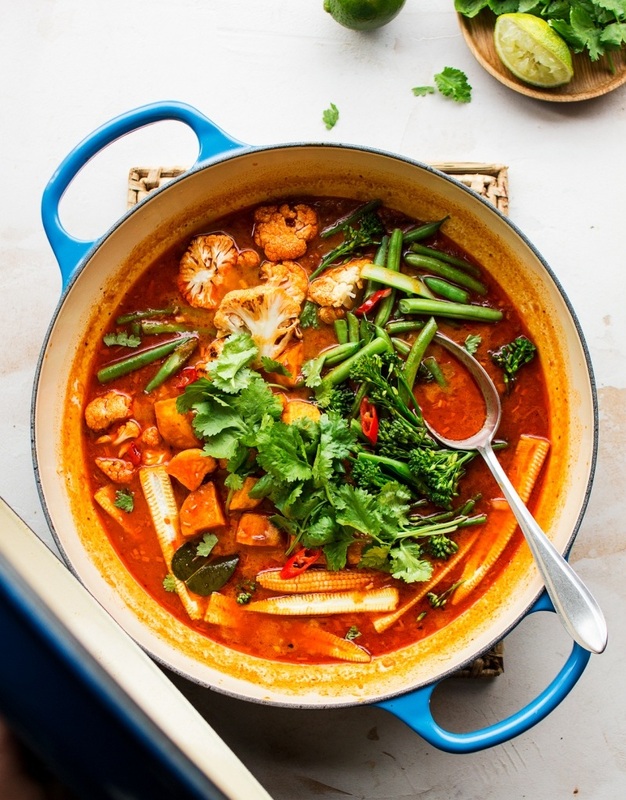 Their recipes vary from Asian-inspired Vegan Char Siu Bao (Sticky Pork Buns) and Thai Red Curry to classics like Lentil Chilli and Pasta Arrabbiata as well as varied sweet treats like Pumpkin Pie and a traditional Sponge Cake. Ania and Duncan will be more than happy to answer your questions, so get your thinking caps on ready for the Q & A session, or let us know your questions in advance on Facebook! The talk will be at 10:30am on Saturday 26 January 2019 at the Subscription Rooms, Stroud. Entry to the fair is £2 which includes all talks and demos throughout the day. Devizes Vegan Fair is coming to the Corn Exchange on March 24th 2019!